Would you rather have Houston or Durham’s rotation? There’s a couple of decent possibilities here: Norris looked pretty good opening day and Harrell’s numbers last year weren’t bad. The other three though? Phew. Even Nats favorite Brad Peacock isn’t that convincing right now as a starter, based on his numbers in the PCL last year. Tampa’s AAA rotation includes Keith Law‘s #53, #68 and #81 top prospects for 2013 in Archer, Odorizzi and Colome respectively. Montgomery was Kansas City’s #1 prospect for quite a while and has struggled in AAA, but he reached AAA as a 21 year old in 2011. Torres may switch places with a 6-year ML FA signing (the Bulls do have former Nat favorite J.D. Martin on their roster among other candidates) but the strength of this group is the first four guys. Given that Tampa is notoriously slow in bringing along its starting pitcher prospects, its safe to assume that most of these guys would have already matriculated to lesser team’s rotations (of them only Archer has MLB service time; he got 4 starts and 30 innings late last year). As it stands now, none of them can crack Tampa’s MLB rotation of David Price, Matt Moore, Jeremy Hellickson, Alex Cobb and Roberto Hernandez. And this is all AFTER the big Tampa-KC trade which sent two other starters (James Shields and Wade Davis) to Kansas City. 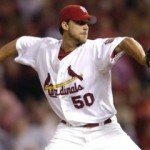 And this doesn’t include former rotation stalwart Jeff Niemann, who just had season ending shoulder surgery. Man that’s a lot of starting pitching depth. (Side note: Roberto Hernandez is officially “Roberto (Heredia) Hernandez,” the artist formerly known as Fausto Carmona. He is also the first Free Agent to start a game for Tampa Bay since 2005! Just an amazing statistic frankly, and an amazing tribute to Tampa’s pitching development staff). So, honestly, which of these starting 5 would you want right now? Not on potential, but on the ability to get major league hitters out in 2013? This is your semi-weekly/periodic wrap-up of Nats and other baseball news that caught my eye. I try to publish this about weekly or if it gets up to about 1500 words, so that it’s not to voluminous. Apologies for the delay on this; life sometimes intervenes into blogging :-). Most of this news is at least a week old. John Lannan presses his luck, goes to arbitration with the team and “loses,” meaning he’ll only get $5M in 2012 instead of the $5.7M he was seeking. I thought $5M was rich frankly; using my 40/60/80% theory on arbitration salaries (as in, your first year arbitration salary is roughly 40% of your open market free agent value, 2nd year 60% and so on…) I thought Lannan’s salary would be roughly $4.8M (equating to an $8M salary on the open market). Still, he nearly doubles his 2011 salary of $2.75M despite having a sub .500 record (yes I know that’s relatively meaning less but still). 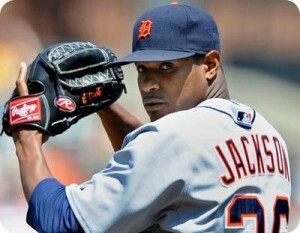 In the out of nowhere department, Edwin Jackson signs with the Nats. 1yr, $11M (with $2M deferred to 2013). Scott Boras finds employment for another client in Washington DC. Mike Rizzo immediately had to comment on the future of John Lannan, who clearly seems like the odd-man out despite being guaranteed a $5M salary in 2012. I should do a more in-depth post on this situation … Rizzo mentioned at the press conference a “flaw” in Jackson’s delivery that they’ve identified; its not often you invest $11M into a guy just to say he’s flawed. But the splits are pretty obvious: As noted by Joe Lemire with no-one on base the league had an astounding .868 OPS (slash line: .339/.390/.478) against Jackson but with runners on that figure dropped to .665 (slash line: .239/.292/.373). However most every other pitcher in the league experiences the reverse of this situation, faring better out of the wind-up than from the stretch. Maybe Jackson needs to pitch from the stretch all the time…. For context, a Batting Average Against (BAA) of .239 for an entire season would have ranked Jackson around 30th for all qualified Starters in the league, better than supposed Aces Matt Garza and Zack Greinke. Maybe we didn’t get a 4th starter; maybe we got something close to a #2 starter in disguise. Si.com‘s very detailed article on Venezuelan baseball, safety concerns and details on the Wilson Ramos kidnapping case. A link to try out for the Racing Presidents. Reports from both Craig Calcaterra and Jon Heyman that JD Drew may retire based on the lack of interest this off-season. See, I have a big problem with this. Drew’s career numbers are very under-rated; he’s got a career .873 OPS and a career 125 OPS+. Yes he tailed off badly in 2011, and has struggled with injuries the past several seasons; but look at his OBP figures; he could be the solution to the Nats outfield problem! I think I need to write a post on this. More interesting Jack Morris articles; this one talking about the fact that he was the “winningest pitcher” of the 80s. Which he was, by a fairly large margin (20 wins if memory serves). Here’s the pertinent fact: EVERY single pitcher who has led a “decade” in wins is in the Hall of Fame, prior to Morris and the 80s. The leader for the 90s was Greg Maddox, who may become the first unanimous first ballot hall of famer (unless of course someone makes a “statement” vote by mailing in a blank ballot or something stupid). The leader for the 2000 decade? Andy Pettitte, who I think will struggle to make the Hall just as Morris has. Now, does this mean that Morris and Pettitte are automatically hall of famers by virtue of leading their decades? No, probably not, but just because a pitcher is a “borderline” candidate doesn’t mean they don’t deserve consideration. I’ll bet we’ll be arguing about Pettitte the same way we’re arguing about Morris in about 10 year’s time. The other interesting takeaway from this article was this google doc spreadsheet, where someone went through and calculated the leader of every 10-year period to see how the “leader of the decade” worked on rolling 10 year scales. 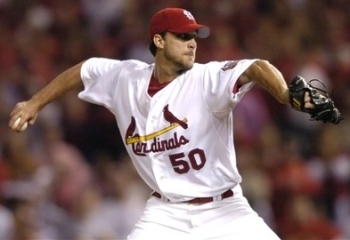 You’re hard pressed to find a non-hall of fame pitcher on this rolling scale no matter what the 10 year period. An interesting article that says that certain legendary hitters are “overrated” when looking at career WAR. This is something I’ve been saying for years, especially with those that think Bert Blyleven is one of the best pitchers ever to play the game. WAR is an accumulator stat, overrating mediocre-but-extremely-healthy players who rack up a ton of stats over time. My simple case in point: Blyleven’s career WAR of 87.6 ranks him 44th of all time, while Pedro Martinez‘s career WAR is 73.5. Anyone who looks at me with a straight face and says that Blyleven therefore is a better pitcher than Martinez needs to consider both this article and my statement. Stats are what they are; they are tools that help people analyze and consider behaviors. They’re not be-all, end-all statements. The above article led me to create this interesting trivia question; what baseball player has the highest career WAR but who is not enshrined in the Hall of Fame (counting these caveats; the player can’t be currently active, pre-Hall of Fame eligible or currently ON the hall of fame ballot)? The answer is Bill Dahlen, with a career WAR of 75.9 and who played from 1891 to 1911. He played mostly short stop, which explains why his WAR is so high considering his career OPS+ of 109. Pete Rose, coincidentally, is just behind him on the career WAR leaderboard and would probably be most people’s guess. Adam Dunn talks about his “one stupid year” in 2011 to the Chicago Sun-Times (h/t to Craig Calcaterra). I do feel sorry for Dunn, who seems to have caught a perfect storm of adjustments (switching leagues, switching teams, switching positions, moving cities and going to a unique on-field manager just to name a few) just at the wrong time, leading to his historically bad season. I hope he figures out what he needs to do to return to his prior form. Interesting NYTimes article by Tyler Kepner (h/t to Calcaterra again) on the Identity Fraud problem for baseball players in the DR. This of course is a follow up to the latest scandal, this time involving all-star Cleveland pitcher Fausto Carmona, or as we now know his real name to be Roberto Hernandez Heredia. He paid off someone 3 years younger to assume his identity, and was outed when he stopped paying the bribe. (side note: if you pay someone to help you do something illegal … chances are you’ll probably be outed on your illegal behavior 100% of the time if you remove the sole incentive for keeping that person quiet. Duh). Anyway; the interesting takeaway here was the anonymous quote that more than “a dozen such cases” could soon get exposed. I hate anonymous quotes like this, but on this topic it isn’t surprising. Age disputes have dogged Albert Pujols for years (though I doubt them personally; if he really is 2-3 years older than he says, then he would have been a MUCH bigger prospect out of high school). An article at Cleveland.com (but which is of severe interest to Washington fans as we re-negotiate our MASN deal) talking about Regional Sports Network TV money highlights an interesting point that nearly every team in a major market soon will have tens of millions more dollars in their pocket, thanks to renegotiated TV deals. We squawk about how the big market teams over spend now? How about when suddenly teams that are “mid-market” but spending $100M on payroll get an extra $30-$40M to play with? I wonder if the solution for the betterment of the sport (considering that a team in a small market like Milwaukee only gets about $12M total in TV money) is going to be to go to a NFL-style TV revenue model where all 30 teams share the same pool equally. That last sentence of course will never happen; the Steinbrenner family isn’t about to give up HUNDREDS of millions of dollars of their own money to help tight-fisted owners in other cities pad their bottom line. I hate seeing this story blown so far out of proportion: Josh Hamilton had “a few drinks” at a bar and now there’s headlines talking about a “relapse” and holier than thou stories about how this is going to cost him tens of millions of dollars. This post on sbnation.com asks the right question; “Is this any of our business?” I had 3-4 drinks one night at dinner last week; am I I a relapsed alcoholic? Of course not. I guess this is the price of fame. Months ago, when Tyler Hamilton had his gripping appearance disclosing all sorts of supposedly incriminating facts about Lance Armstrong on 60-minutes I had a rather heated discussion over email with some fellow sports-fanatic fans talking about whether that interview was really “proof” of Armstrong’s having cheated his way to 7 tour de France wins. I guess not: Federal prosecutors closed the inquiry into Armstrong after a 2-year witch hunt. I was much more vehement on this topic before but my general stance is this; Armstrong took hundreds of drug tests in his life and never ONCE tested positive. There’s allegations of cheating by former teammates who themselves lied about cheating (and were eventually caught), and there’s allegations of covered-up tests (which can’t be corroborated), and there’s rumors and innuendo. But nowhere, ever, has anyone actually found anything close to concrete “proof” that Armstrong cheated. So to anyone who still thinks he’s a cheater, I’ll say this: “Innocent until proven guilty.” And nobody will ever find any proof, because (as is noted in this column) if Jeff Novitzky couldn’t find the proof, nobody will. This is your semi-weekly/periodic wrap-up of Nats and other baseball news that caught my eye. Apologies for the delay in posting; new rules on laptop usage at work have thwarted my typical read-sports-news-at-lunch habits. I’ll have to get creative. Nats extend Gio Gonzalez for 5 years. Terms: 5yrs, $42M with two more club options. A little more than $8m AAV, or in other words what we were paying Jason Marquis. I’m sure its backloaded somewhat, but I like the deal for two main reasons. First, we buy out all the arbitration years ahead of time and avoid the arbitration process altogether (which does nothing but serve to bruise the fragile egos of professional athletes over a few hundred thousand dollars of salary). Secondly, it locks up the player for the longer term and gives the team some stability for the next few years. Nice little piece on Bryce Harper from Buster Olney, who relays the well known opinion that Davey Johnson really likes young superstars and predicts that Harper may break camp with the team. Why doesn’t anyone relay all the facts in this case? Like the fact that there wasn’t a concept of “Super-2” when Johnson promoted Gooden and Strawberry and there wasn’t a punitive financial issue lurking by doing so. Great news to see so many of our arbitration eligible guys settled well ahead of going in front of the arbitrator. These cases don’t help anyone in the long run and end up arguing semantics over a few hundred thousand dollars that the team can clearly pay. Though I havn’t seen any confirmation of this elsewhere, Bill Ladson reports that the Nats are engaged in extension talks with Ryan Zimmerman. If so, this comes at a relatively good time for the team to be doing the negotiating; Zimmerman’s value is as low now as it has been since before his rookie season, on account of multiple injuries and a lack of overall production. Which is exactly why I don’t think any long term deal is going to be struck this off-season frankly; Zimmerman would expect a Troy Tulowitzki like deal and I don’t think he’s done enough to earn it. The arbitration case to watch this coming off-season will be Tim Lincecum; he is asking for $21.5M for 2012, with the Giants offering $17M. Wow. There’s really no case like his out there to use as a precedent; if you think he should earn roughly 80% of his FA value, then $21.5M equates with an annual salary of $26.875/year AAV. That’s more than Cliff Lee, CC Sabathia or Johan Santana (the three highest paid pitchers at current). So I guess you have to ask yourself; is Lincecum the best pitcher in the league? Because he’s about to be paid in line with that title. Not HoF specific, but inspired by it. David Shoenfield compiles a list of the best players by running 5-year WAR figures to show some enlightening information. WAR has some limitations over longer terms but I like what it shows for season-to-season value for players. His point was that some relatively unsupported hall of fame claims appear on these lists. For me the last couple periods showing guys like Chase Utley and Matt Holliday were kind of eye opening. Phillies sign Joel Pineiro to a minor league deal. I know he struggled in LA last season, but at one point this guy was pretty decent. If he can regain his health and his St. Louis form, suddenly the Phillies might have themselves a pretty good 5th starter option to take mediocre innings away from Joe Blanton. I’m surprised they were able to get him on a minor league contract. I’ve read bits and pieces about the fall of Puerto Rican baseball before; but this is the first article i’ve seen that really delves into it deeply. Rob Neyer lists the cause and effect; baseball subjected Puerto Rican’s to the normal draft and almost immediately killed baseball in the country. This is the lesson/concern about going to an international draft; individual teams won’t cultivate and build off-site academies if they serve to build players who can be drafted by other teams. This is what happened in Puerto Rico and its probably what would happen in the Dominican Republic, Venezuela and other developing countries. Its a scary thought. Related to the above Puerto Rican story is this: Cleveland pitcher Fausto Carmona arrested in the Dominican Republic for falsifying his name and age ahead of his big signing. For all the lamenting of the above Puerto Rican situation … this is yet another example (see Gonzalez, Smiley for Nats fans) of the flip side of the lack of an international draft. Draft experts and scouting mavens lament the loss of Puerto Rican development and think that the exact same thing would happen in the D.R. if they were included in the draft, and yes its hard to argue differently. But the down side of having such a “lottery” for 15-16 yr old players in the impoverished D.R. is the continued fraud among players growing up there related to age falsification. Sabre-nerds may decry the lack of statistical science behind it, but Tom Verducci‘s annual “Year After” effect (which has come to be known as the Verducci-effect by others) has had an 84% success factor in predicting either injury or distinct decline in performance for his named pitchers. The most interesting names on the list are newly traded Michael Pineda, Jeremy Hellickson, and both Texas mid-rotation starters Matt Harrison and Derek Holland. 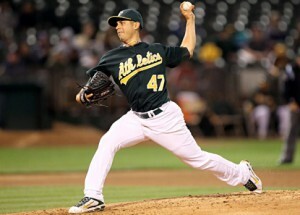 Holland in particular threw a whopping 77 more innings this year over last. Not that any of us needed to read any more about the Jerry Sandusky/Penn State Scandal, but reading Washington Post’s Sally Jenkins‘ front page story with Joe Paterno‘s first interview post-scandal was an interesting read. Frankly, I don’t buy some of the way the story reads (intimating that Paterno had “little to do” with Sandusky by the time the 2002 allegations came around, for example). It doesn’t seem like Paterno was really challenged in the interview. Gene Wojciechowski echos some of these sentiments in this analysis piece here, criticizing Paterno’s convenient stance on the scandal and on the multitude of other stories that have come out about his manipulation of the system and real influence at the university. The real problem is just the nature of dealing with a legend; he worked for Penn State for 61 years and made the university what it is; how do you possibly deal with such a figure, who clearly was larger than the university? Update: just prior to publishing this, Paterno lost his battle with lung cancer, a quick and unfortunate end to his legendary career. Its amazing to consider that just 3 months ago, Paterno was still the larger than life legend and nothing bad had ever happened on the campus. I’m sure the real story is somewhere in-between the original story and the “Update” at the end, but there seems to be enough truth in the former to not necessarily believe the latter. A new Utah high school’s board decided that the student-voted mascot name “Cougars” can’t be used because the name is derogatory towards middle-aged women who hook up with younger men. Seriously.